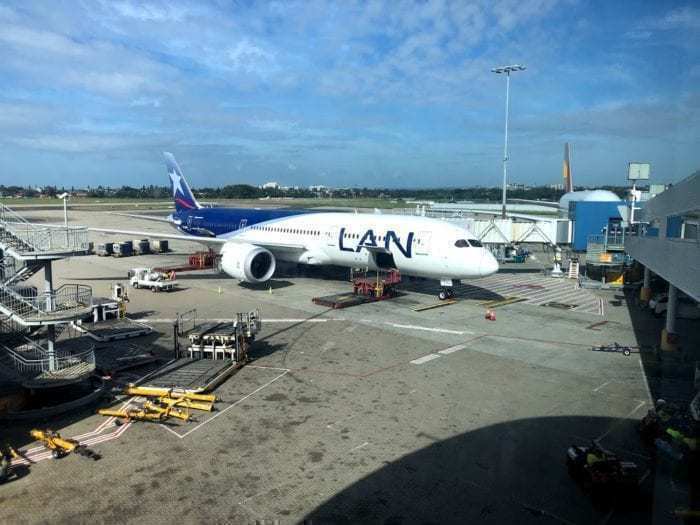 Recently, Simple Flying had the pleasure to fly onboard LATAM’s Dreamliner 787-9 from Sydney to Auckland. 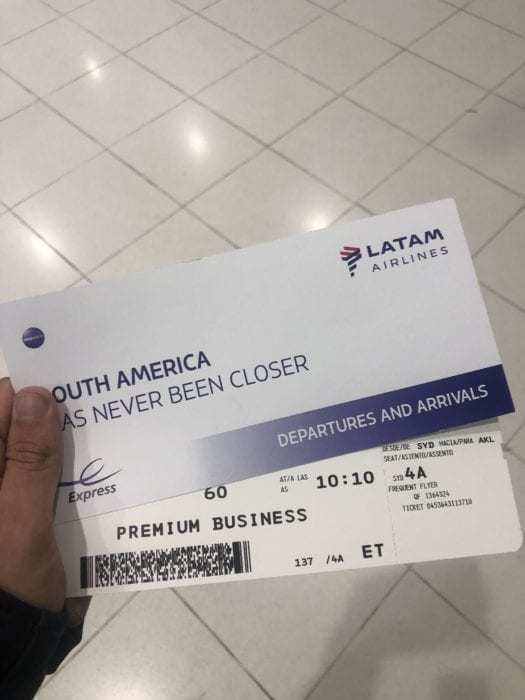 This is a fifth freedom flight as part of a bigger LATAM route (Sydney, Australia -> Auckland, New Zealand -> Santiago, Chile) and can be found quite cheap, only $100 more than flying in economy on Qantas, Virgin or Air New Zealand. The flight is only three hours long. 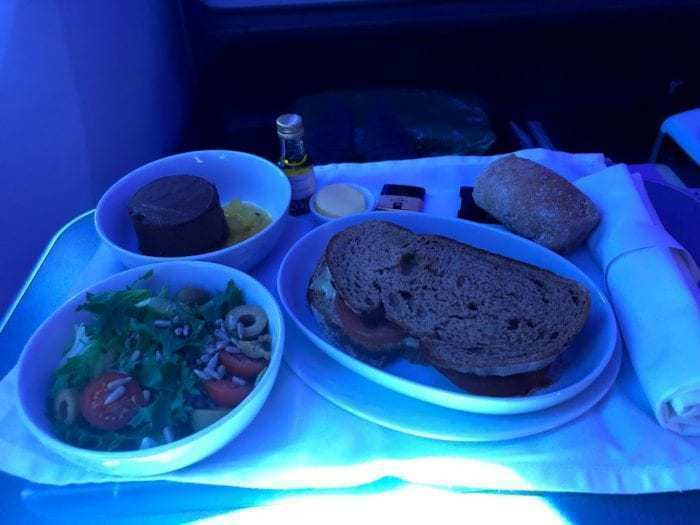 Because it’s a long-haul plane on a short haul route, it means you get all the perks of lie-flat seats, proper meals, and great service without the cost. 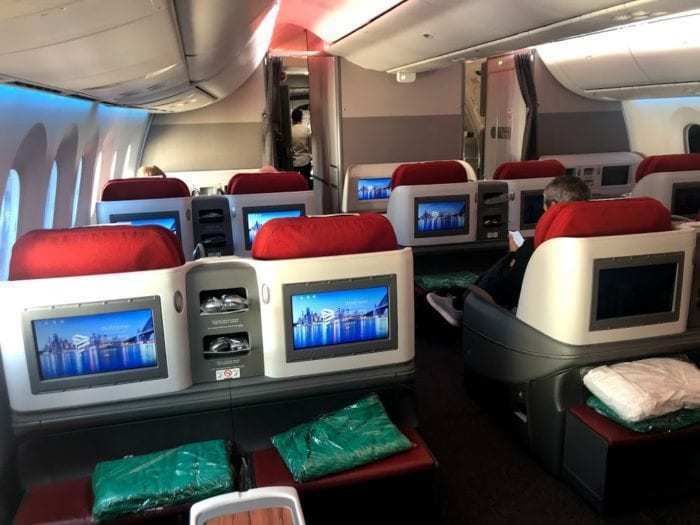 At such a steal, we knew we just had to jump on and review the business class before its renovation in the next year. This trip was paid for by Simple Flying, and LATAM were not informed of our visit. Have you ever tried to get in contact with LATAM? It’s almost impossible and their phone line sounds like your trying to get in touch with someone on a submarine. I do suggest you even try right now to email them on their website (here is the link) and you will see that their bottom email link is broken! It seems that they have yet to iron out all the kinks from their merger of LAN and TAM. Check in at Sydney was very simple, with a priority line for Business Class passengers, and included 30kg of baggage per passenger. Business class passengers also get a priority ticket for immigration and security. Sydney has recently upgraded to ePassport gates in the last year so the immigration and security process was painless. You also do not have to fill out those pesky departure cards if you have a ePassport which is helpful. LATAM Business uses the Qantas Business Lounge in Sydney (As they are a Oneworld member). As Sydney is the main hub for Qantas (their Headquarters are actually connected to the domestic terminal, so staff can simply walk over) you would expect the Business lounge to be top of the line. This, unfortunately, was not the case. For whatever reason, Qantas has decided that every credit card in Australia gets access to the lounge and that Silver Qantas Club (loyalty program) gets you access even if you are flying economy. Thus, the business lounge was packed! It was almost impossible to find a seat (even harder if there are two people) and there was a long wait for coffees and a la carte menu items. Regarding the food, it seemed to be designed for the common denominator. Breakfast was eggs, bacon, baked beans, and hash browns. I would have expected this in England or America, but Sydney is quite well known for its excellent café breakfasts of avocado, mushrooms, halloumi, vine tomatoes and more. To have such a basic selection was a little disappointing. The coffee, however, was excellent (or should I say eggcellent) and I enjoyed two cappuccinos before my flight. We boarded from gate 60, which was on the opposite side of the large international terminal (Sydney only has one international terminal) from the lounge. It was a bit of a walk with several travelators broken down. Boarding was quick but the plane seemed to be sitting at the gate for around 25 minutes before departure (not the airline’s fault, Sydney is notorious for delayed flights). 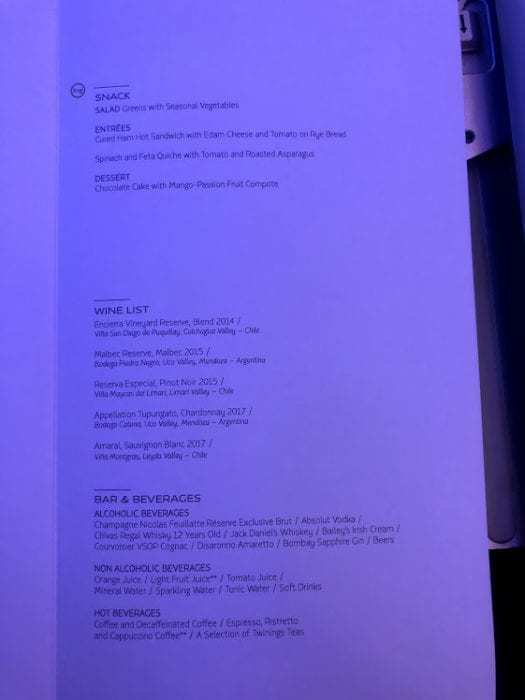 Fortunately, the cabin crew served orange juice and water for those in our business cabin (not champagne, I suppose it is not 5 o’clock everywhere). Wow, talk about space. Unlike some other business products on the market, LATAM’s Dreamliner has enough room for a small Asian family. I found myself totally unable to reach anything in front of me (For those curious, I am 6’1, or 183cm) and couldn’t even put out my legs. Very impressive. For those looking for actual numbers, it was 75 inches of pitch and 23 inches wide. But no privacy. LATAM is still using the older 2-2-2 configuration in their business class cabin, which means that you get very friendly with your neighbor. There is no direct aisle access for each seat and if your fellow passenger is in lie-flat mode then you will need to do the ninja dance over them. When it is in the lie-flat mode you can expand the armrest to hide your face but the rest of your body is quite exposed. The seat is a lie-flat seat that is quite comfortable, but I did find the footrest hard. Just after take-off I noticed other passengers imminently don the blankets and go to full recline. I could easily sleep onboard (if I didn’t have those two coffees). However, be warned as my head and feet both touched the seats behind and in front. If I was any taller, I would have to bend my knees. There were a few buttons on the control panel that didn’t seem to do anything. I was never sure what M+ or MR did, nor did the directional arrows do anything. Perhaps my seat was broken? The seat comes with a 27 inch entertainment screen which, whilst bigger than economy, was rather small and far away. I know it seems hard to imagine (especially if you are traveling business) but I would have liked it closer and to take up more of my view. It looked like I was watching a small TV at home, not a luxury business class on a Dreamliner. You are also given noise-canceling headphones. The toiletry bag was very spartan but probably to be expected of a short haul flight. 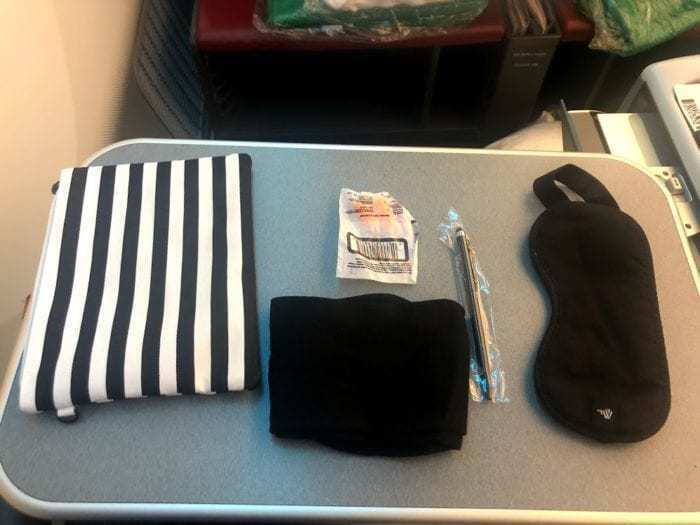 Included was a pen (useful for the immigration cards), blindfold, socks, and earplugs. Let us talk about the tray table. It must weigh around 50 kg because I had the hardest time pulling it out of the seat rest. It also had the tiniest strap to pull it out that was super uncomfortable and was a pain to use. The rest of the cabin was excellent, with LED mood lighting that was very impressive. Big windows with tinting (that I would not be able to explain the science of) which each row gets two of. After takeoff, the cabin crew passed around warm towels (I personally would have preferred cold towels for the hot plane, but beggars can’t be choosers!). About 15 minutes later they very slowly served beverages and a meal. At first, I thought they were slow, but then I realized it was because they were offering a bespoke service for each passenger. As this is a short haul flight, only a small morning tea was served. I decided to go with the ham sandwich. For a drink, we were served some excellent Chilean red wine. It did make my head spin and I felt like a nap, for which the lie-flat seat proved to be very useful. After brunch, we were offered coffee or tea. Me, being Australian, opted for a cappuccino. I was told they did not have the ability to make one but said he would try. Our cabin crew member then went out of his way to boil milk and turn it into foam, to convert a black espresso into a cappuccino. I was very impressed with how out of their way they went for us. We then soon arrived at Auckland, ready to tackle the country of New Zealand. If I had to conclude my experience, I’d say this is a must-do flight for those wanting to get to Auckland. 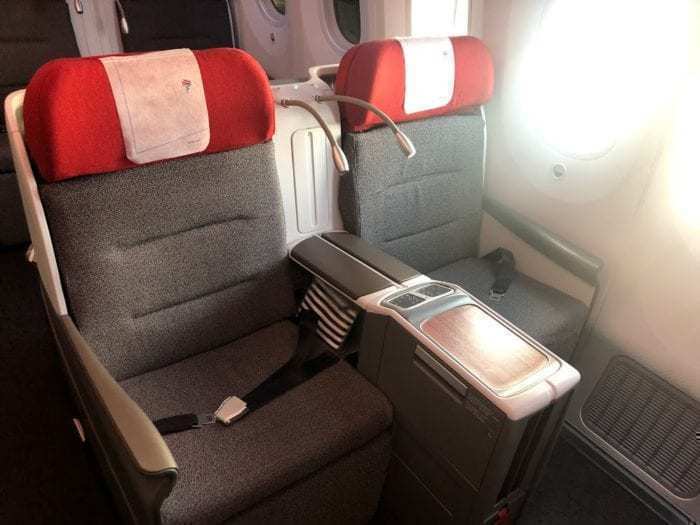 At just $100 more than a standard economy seat, it is the deal of the century. 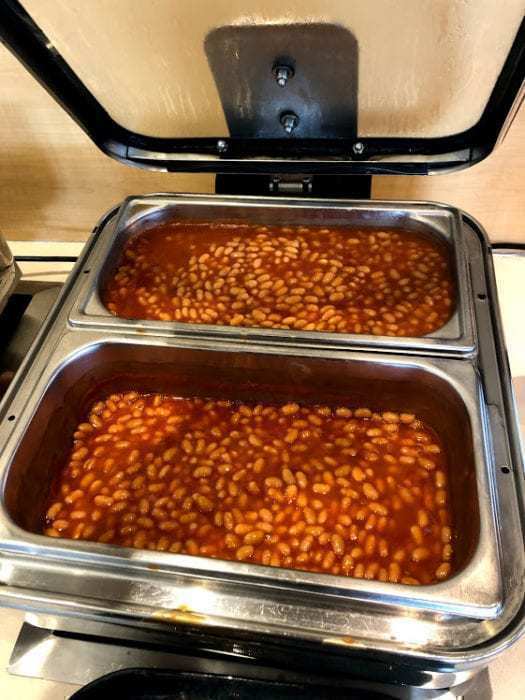 The service was fantastic, the food was great and that leg room! I fear that LATAM has really spoiled me and I believe that it is going to be a hard service for Qantas to beat on the return. 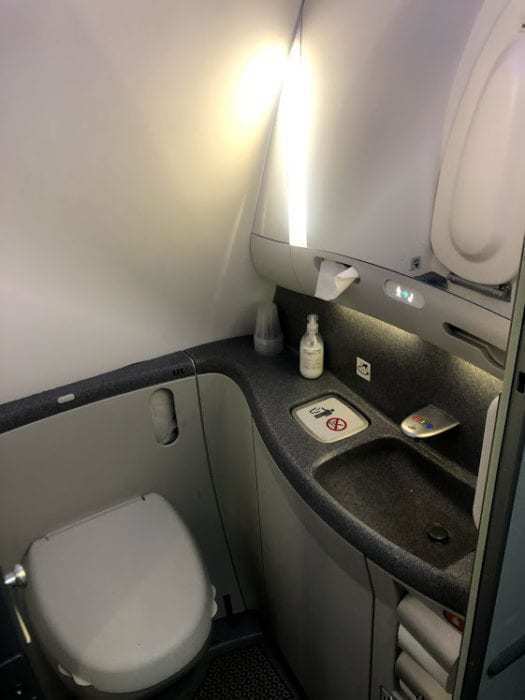 I would highly recommend considering them for this route and can’t wait to try out their new cabin later next year when it rolls out to their international fleet. What do you think? Do you have any flight reviews to share? 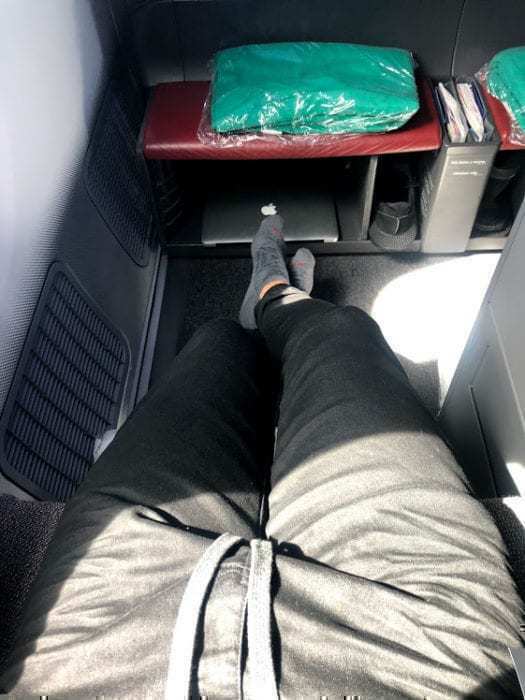 While some Australian credit cards come with a couple of one-time entry passes to Qantas Clubs or international Business lounges, I’m not aware of any that offer Qantas lounge access, simply by virtue of having the card. Are you sure Qantas’s headquarters are connected to the domestic terminal? I think you’ll find it’s Qantas Frequent Flyer Silver which can (but does not have to be) combined with the separate Qantas Club membership.